Music at the Inn - buchtelbars Webseite! 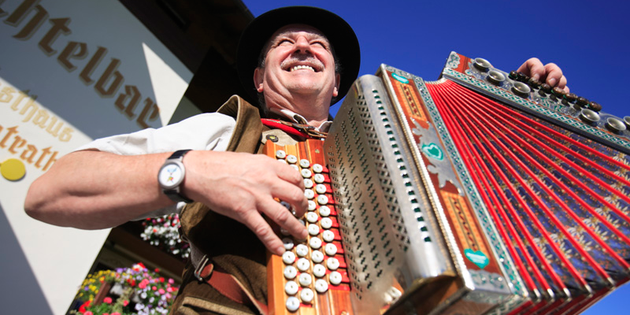 The Buchtelbar has been named by the Styrian Folk Song Association the “most friendly inn for musicians”. Amplifiers and stage systems, as well as piped music and presentation, are intentionally relinquished at the musician’s table at the Buchtelbar. Self-defined, spontaneous singing and playing are constantly in the foreground. The many instruments in the guest parlour invite one to simply “take one and play”, and when the proprietor is present, there could also be a hearty harmonica accompaniment!